Adopting lifestyle upgrades is a process of taking less-good habits and turning them into better habits. Making gradual, lasting improvements to your daily habits is still among the best ways to extend your healthy lifespan. Here are eight lifestyle upgrades that can help you become leaner and stronger. These upgrades are based on simple mathematics, science, nutrition, psychology, and my approximately 30 years of experience working with clients. Engage the advice of your own medical doctor to help determine which of these upgrades is right for you. As a fitness trainer for over three decades, I’ve been able to recognize patterns of success. I learned that the people who had success at losing weight permanently did it at the sane pace of 1-pound per week. the weight that was lost at the slow pace of 1-pound per week, stayed gone permanently. This is how I came to lose my belief in “diets” and believe, instead, in lifestyle improvements. There are exceptions, of course. People who weigh-in at over 300 pounds will usually do well with a more ambitious regimen, hopefully under the supervision of a doctor. 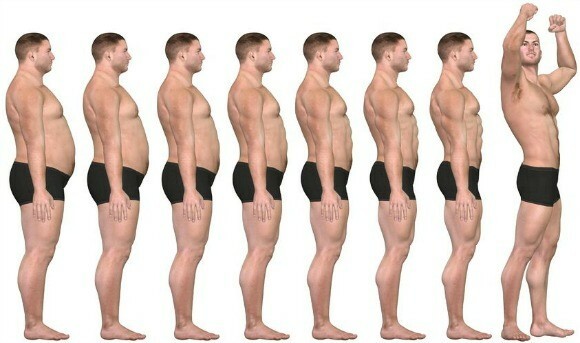 Still, my personal opinion is that roller coaster weight loss (lose it, gain it back, lose it, gain it back) is demoralizing and unhealthy, and for this reason, I believe that for those individuals who already weigh under 250 pounds, a-pound-a-week is a good pace in order to lose weight permanently. It’s difficult to tell clients who want to lose 40 pounds of fat that we should plan on 40 weeks to lose it. No one wants to hear that. 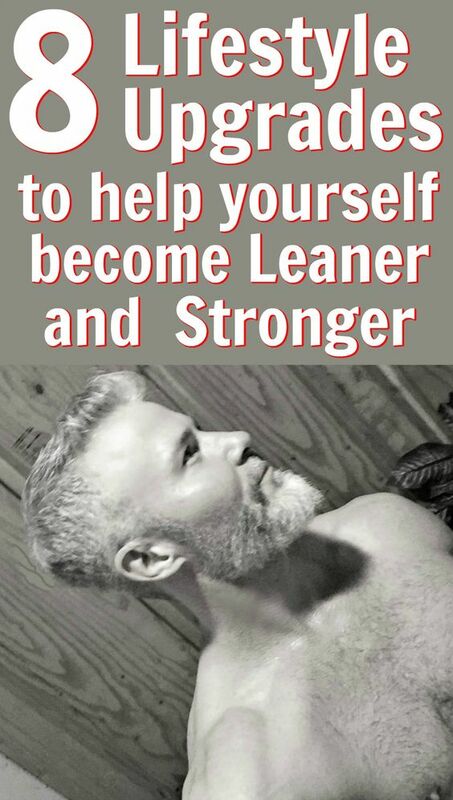 I’m not saying you can’t drop fat more quickly than a pound per week. And, will the weight loss be permanent? When you get my free updates you also get instant access to my bonus report on how to sneak more vegetables into your daily diet. 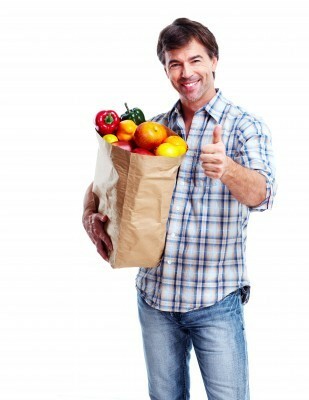 Remember: a-pound-a-week means that you’re not dieting, you’re making enhancements to your lifestyle. Here’s what actually works: lessening 200 calories from daily diet, and exercising daily to burn another 300. The great thing about this is that it’s totally do-able. Shaving 200 calories off your daily intake is not that much. I mean, you’ll notice it, but it won’t be painful. And exercising enough to burn 300 calories each day is also something that’s very realistic. 500cals x 7days = 3,500 calories = 1 pound of body fat. It’s a simple formula that’s very, very successful. Dane Findley earned a masters degree in Counseling Depth Psychology from Pacific Graduate Institute. His past professional adventures include being a Therapist and Discharge Planner at a Dual-Diagnosis Hospital Inpatient Treatment Program, Digital Marketing Director for a real estate brokerage and decades spent as a professional fitness and Pilates trainer. 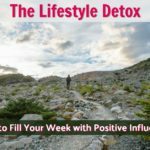 Today, Dane is a Healthy-Lifestyle Advocate and he curates the Quality of Life Newsletter – a weekly update for creative types who want to increase their daily joy. Of course, your activity level and the number of calories you consume daily are still what matter most when losing weight. However, it can also be helpful to pay attention to the quality of those calories. The weight that comes off gradually is the weight that tends to stay off forever. Many of us use food (sugar, wine, bread, etc.) to smooth out the rough edges of a stressful day. We medicate our daily little anxieties with food in an attempt to self-soothe (and it works! But only in the short-term). Since inflammation is the number-one factor in premature aging, by eating an anti-inflammatory diet you can also improve the overall efficacy of your metabolism. Some foods are mildly irritating to your body, while other foods are especially helpful. It’s different for each person since each person has a unique body chemistry. Your body is equipped to handle an irritating food every now and then. 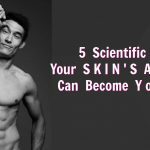 However, when the body is relentlessly exposed to the same irritating foods day after day, it can create puffiness and even an autoimmune response. Stop letting your tastebuds tell you what to do. Inflammation is too high a price to pay for 8-seconds of mouthfeel and a sleepy post-sugar buzz. Instead, determine what foods your body actually thrives on. When you get my free updates you also get instant access to my bonus guide on how to better manage your time, energy, and nutrition. Is your kitchen poised to help you with your new nutritional upgrades? Do you have a pre-printed shopping list? Do you have storage containers with lids for advanced meal preparation? In order to improve your self-care and increase your health protocols, you need a simple productivity system – a good system can help you to find extra time and energy. You can create a new lifestyle schedule and daily routine that works best for your life. By utilizing principles of Success Psychology, you can ensure that your new, positive upgrades will “stick” (instead of having you start out with good intentions and then falling back into the same old habits). Anyone undertaking a health-improvement regimen in the hopes of dropping body fat will also need to consider how they can find other healthy solutions for self-soothing. I encourage you to experiment with crafting positive new lifestyle upgrades that will assist you in building good mental health by avoiding unnecessary stress. Sometimes, instead of just telling people what they shouldn’t eat, it’s helpful to also tell people what they can eat. 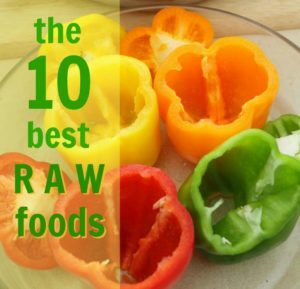 Raw food is basically any food that has not been heated above 104 degrees. When people refer to raw food, they’re often referring to the vegan variation (yet technically raw food could include raw meats, too – though this is far less pursued). Raw food has an inherent lightness and vitality and is less likely to give you the food hangover that often accompanies rich, cooked foods. Cucumbers are hydrating and good for your skin. I have sensitive, reactive skin (perhaps it’s my northern European heritage) so cucumbers are an essential part of my nutritional regimen. When I first realized that I wanted to try slipping vegetables into my smoothies, I knew that I had to do it gradually (to give my taste buds time to evolve), and cucumber is where I started. While it’s important to have as many dark, leafy greens in your diet as you can, many greens don’t taste that great raw. Expect spinach. Spinach is delicious raw. Cruciferous vegetables like broccoli are loaded with special cancer-squashing enzymes. I have broccoli almost every day – usually a few florets in my breakfast smoothie (see below). Broccoli can be challenging to digest, but I find that a powerful blender helps greatly with that. What a powerhouse! Kale is truly a superfood loaded with an astounding nutrient profile, including Vitamin C for your metabolism and loads of fiber for your digestion. I prefer my kale lightly sautéed with a bit of coconut oil, or steamed. Raw sprouted pumpkin seeds can be a reliable source of quality protein. The sprouted variety is much easier for your body to digest. When I recommend this food to friends, almost everyone has bought regular, roasted seeds by mistake – not sprouted. So, please, get the sprouted kind. I like to soak my raw almonds overnight, then rinse them in the morning and make a big batch of fresh almond milk using my blender. Almonds provide me with a quality protein and they’re filling, so they sustain me and prevent me from getting hungry between meals. Almonds are good for your brain and your heart and they contain compounds that help with your body’s energy production. Lemons are anti-bacterial and full of beneficial bioflavonoids. What’s amazing is, even though lemons are acidic, they have an alkalinizing effect on the body when used in moderate doses. 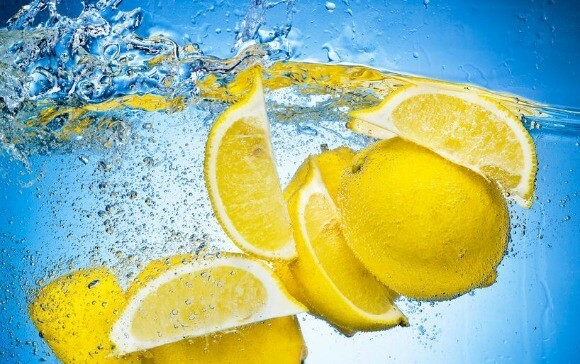 A few drops of freshly squeezed lemon or lime juice in water is something I have almost every day. Chia seeds help to balance blood sugar and add those healthy omegas to your diet. I pre-soak mine for smoothies or use my coffee bean grinder to turn the seeds into meal. Some people are sensitive to the lectins in un-sprouted seeds, so seeds may not be an everyday-food for all individuals. Whether or not people eat organic is the least of my worries; however, when it comes to bell peppers, I definitely do try to get organic when possible, because it’s one of those foods that pesticide residues seem to hang around in. Bell peppers have ample amounts of advantageous phytochemicals and enjoy a robust antioxidant activity. The nightshade family of vegetables can be irritating to some people, so perhaps bell peppers are not an everyday-food. However, many people find that they can easily ingest this nutritious vegetable three times a week. If you want to experiment with adding more raw foods into your weekly diet, you can utilize the list above – by replacing worse foods with better ones from the list. As I first began attempting to incorporate more living foods into my daily diet, one situation I found perplexing was: what to snack on between meals? …and taking them with me to work in a cooler/lunchbox. However, while this worked great for curbing my between-meal peckishness, I found that some mornings I just didn’t have the time to clean and chop vegetables before leaving for the office. More importantly, on days when I exercise, I need more protein than what veggie-sticks can provide. My solution? Raw, sprouted pumpkin seeds. About half-a-handful of raw pumpkin seeds (the kind I buy are sprouted, and seasoned with Celtic sea salt) do the trick, because I enjoy the taste and texture, they have ample protein, and they are remarkably effective for curbing hunger. Increasing raw food consumption is among the most effective lifestyle upgrades. This has been your missing ingredient: to take your life up to the next joy-level, you will need weekly inspiration. Without inspiration, your new lifestyle habits won’t stick. Can eating mostly plants make you younger? Is it better to eat plants that are cooked, or uncooked? Many raw food vegans believe that uncooked foods have more prana (a word from the ancient Sanskrit language that means “lifeforce”) and more enzymes that help the body to age at a slower pace. My suggestion is to consult with your doctor, get your blood work done, and discuss whether it might be worth trying to eat more cooked plants. You’ll need to find solutions for monitoring these nutrients in your diet to make sure you’re getting enough. I have experimented with having mostly raw vegetables and mostly cooked vegetables and over the years discovered that what works best for me is a combination, with a slight favoring of raw over cooked. Perhaps the only way to really know if your body loves a food is to listen carefully to how you feel after you eat it. Your body will always tell you if you truly pay attention. Additionally, you can look at your body the next morning when you wake up. A bloated waistline and puffy eyes are definitely clues, and often indicate an inflammatory response to the foods you ate the day before. I’m still trying to help people understand that their health hinges on finding clever ways to sneak more vegetables into their daily diet. We live in a culture of burritos, pizza, and hamburgers. What adds more challenge to my mission, is I’m committed to not using fear to motivate people (I see some pretty alarming statistics in my daily work) but instead to inspire others to discover the joys and vibrancy of optimized health just for its own sake. It’s a good thing I’m passionate about it, because I’ve got my work cut out for me. Now that I’m in my 50s, I have my body fat percentage at almost where I want it. My big focus now is on improving my flexibility and posture – and improving my overall health. Though I support veganism and I love the passion and ideals of my vegan friends, a 100% vegan eating regimen did not work for me long term. my body doesn’t like soy, and even fermented soy like tofu and tempeh I can only have once in a while (you don’t have to eat soy to be vegan, but it sure adds some variety to the menu). excess carbs – even the complex carbohydrates – can begin to have a negative impact. All carbs turn to sugar eventually. I tried to get a surplus of healthy fats from seeds, nuts, coconut, olive oil and avocado, but my body just seems to respond better when I include a small amount of animal fat and protein into my diet as well. I’m open to trying any eating regimen that improves my health. I am not open to a food regimen that worsens my health. For those individuals who have naturally, genetically low cholesterol and low blood pressure – is the vegan way of life too light? For now, I have a mostly plant-based diet with just a bit of organic free-range eggs, turkey – and sometimes even bison. I order bricks of raw, organic butter made from the milk of pasture-raised (grass-fed) cows on a small farm in northern Minnesota. Grass-fed is higher in Omega-3 and helps prevent Omega-6 spikes, a common marker of inflammation. I use this butter sparingly, and I keep grains, flours, and sugars to an absolute minimum. Eating seven or more daily servings of vegetables and fruits may help promote longevity, according to a new study from the University College of London. whether making a freshly blended smoothie or fresh juice, beginners are encouraged to use more fruits than vegetables in order to gradually evolve the palate to enjoy less sweet tastes; however, the ultimate goal – even if it takes a long while – should be to reduce sugars in the average daily diet (refined sugars first and then, later, naturally occurring sugars), which means over time using more vegetables and only a little fruit. The key takeaway here is that certain lifestyle upgrades will work great for a particular group of people, but not for others. Choose the upgrades that fit you best and that actually work well for you. Preparing healthy food is often misrepresented as a time-consuming experience, but, with the right tools you can get fit and save time. All you really need are a couple of kitchen tools to speed up the process and to make healthy meal preparation a faster and more enjoyable experience. For starters, I recommend using a food processor. What’s funny about food processors, is that many kitchens already have them – usually buried behind the pots and pans at the very back of a bottom shelf. Time to find that processor, dust it off, and display it prominently in your kitchen as one of your new favorite get-fit upgrades. A food processor has multiple-abilities (including dough making) but its simplest and best function is to chop vegetables easily and quickly. If you’ve ever prepared a coleslaw salad with nothing but a knife and a chopping board you know it can take hours. A food processor really does save you loads of time – tasks go from taking hours to taking minutes. The Food Processor is the closest thing we have to an actual time machine. With one of these on your kitchen counter, there really is no excuse for eating a processed frozen meal. You can create a tasty salad or veggie topping in mere moments. Usually, we revert to takeout food or packaged food when we are time-constrained – or just physically too tired to make a fresh meal – but with a food processor, it’s simple to eat healthily and get fit. All you do is take the vegetables you have in your refrigerator, give them a quick wash, and toss them in the processor. I put these into the processor (see video above) with some Celtic sea salt and turn on the food processor and hey presto! – a tasty topping that can go with lean chicken, veggie patty, turkey burgers, organic scrambled eggs or, if you’re in a real hurry, a stand-alone salad. Hint: put the parsley and kale in the food processor first and chop it up, then add the other, softer ingredients. You could also use it as a sandwich filling or have it as a celery dip. The final product has an astoundingly appetizing scent and is a super fast way of adding a delicious kick and zesty flavor to a meal that will support your fitness and energy level. 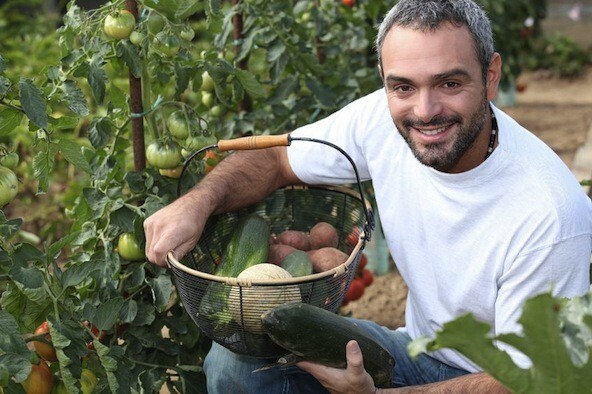 Remember, an important component of shedding body fat and improving your overall health is to eat more fresh raw vegetables, and food processors make that much, much easier. if there are more than one or two people in your household, then get a large processor to ensure you can make big batches less often. check that the parts are machine-washable so you don’t have to spend extra time cleaning by hand. Check out your fridge contents and let us know what you were able to create! I encourage you to remember that health is the foundation on which you can build a passionate, joyful life. When we make health an afterthought or procrastinate implementing new health protocols into our typical day, we are – in essence – gambling. Look forward to your new lifestyle upgrades with eagerness! One of the upgrades I made that has had the most positive impact on my life is: consuming a freshly made green smoothie daily. These shakes I make are usually between 300 and 400 calories (it depends on the recipe) and have helped me to feel – and look – better. They’re filling and delicious. At 52 years old I have a tighter waist than I’ve had for over 20 years. I owe my firm abs to freshly made green smoothies and the simple fat-loss formula outlined above. If you want to improve your health and lose belly fat, you must find clever ways to sneak more vegetables into your daily diet, and smoothies can be one of the easiest ways to accomplish that. If you feel like you really want to try using green smoothies to lose fat, increase your energy, detoxify your body and improve your health, then I encourage you to dust off your blender and start experimenting. Remember to only use enough fruit to make the shake enjoyable. In my opinion, freshly made green smoothies are number-one from among all the lifestyle upgrades – and the one that the least amount of people take advantage of.